President Bush described the War on Terror as a ‘new kind of war’ and he used the term to justify a reinterpretation of the international law rules governing the use of the armed force and the conduct of armed force in expansive ways. Even though the Obama Administration does not use the phrase ‘War on Terror’, practices like targeted killings, indefinite detention of suspects, or military commissions that are justified through this expansive interpretation continue and somehow become ‘normalised’. I also use the term ‘new wars’ but I come to almost diametrically opposite conclusions that have to do with tightening up international law and closing loopholes that can be used to loosen constraints on the use of force. Indeed what I have found disturbing and provocative about neo-conservative arguments is the way they refer to innovative analyses about phenomena such as globalisation and new wars or the role of non-state actors and turn them upside down. In this lecture, I want to put forward the argument that the ‘new peace’ should be understood as a global rule of law much like is generally experienced in rights based law governed societies such as the United States or the United Kingdom. I put it forward as resistance to the stretching of international law that has come about as a consequence of the War on Terror. Of course, the idea of the ‘New Peace’ is much broader than international law but in this lecture, I focus on what this means for the rules governing the use of armed force, the conduct of armed force and the authority to use armed force. In making this argument, I start with some preliminary remarks about new wars and international law. And at the end I will mention briefly some countervailing trends. I am not a lawyer so my main concern is the norms underpinning the formal rules. I also want to stress that this is a work in progress – it is a book I am writing together with an international lawyer, Christine Chinkin, who coined the term ‘New Peace’. I began to use the term ‘new wars’ to refer to the conflicts that were taking place in the Balkans and Africa in the 1990’s (Kaldor 2012). I used the term ‘new’ to show that they had a different logic from the wars that scholars and policy-makers imagined. New Wars, I argued, involved a blurring of the distinction between state and non-state actors, public and private, internal and external, and indeed war and crime. Battles are rare and most violence is directed against civilians. The various warring parties gain in political and economic terms from war itself because violence provides an opportunity to spread political ideologies based on fear and polarisation and to extract revenue through economic predation. In other words, they are less interested in winning than the enterprise of war itself. ‘Old wars’ –the wars that policy-makers and scholars imagine- by contrast are fought between states with regular armed forces and battle is the decisive encounter. The aim is to win and that is why old wars, as Clausewitz pointed out, tend to extremes. New wars, however tend to be persistent or protracted. Perhaps war is not the right word. Large areas of the world experience chronic insecurity. This insecurity cannot be ended through victory or peace negotiations, as was the case with old wars. Instead, dealing with chronic insecurity involves a difficult process of minimising all violence and establishing a rule of law and justice mechanisms. A rule of law is necessary both to provide space for politics based on trust and reason rather than fear, and to shift from a predatory political economy of violence to a context where it is possible to find legitimate ways of making a living. In situations where the state and domestic law is weak, then international law should, in principle, come into play. When I made these arguments, my lawyer colleagues would say ‘what law’? And can international law be like domestic law? Surely the international arena lacks legislative authority and means of enforcement? I understand international law as a discourse involving states, international institutions and increasingly civil society. I agree with Abraham and Antonia Chayes that sovereignty is about membership in an international system of rules (Chayes and Chayes 1995). States both influence and implement those rules. Actually, this always was the meaning of sovereignty since it depended on the recognition of others but the rules changed in different eras. Amy Bartholomew points out that Guantanamo Bay was not a lawless black hole; the Bush Administration used excessively legalistic language (Bartholomew 2012). The very fact that legality is rated so highly means that it can be a site of resistance as well as a tool for the powerful –something early rights campaigners in a national context discovered. So then the question is ‘what law’? In earlier periods, international rules unlike domestic law in rights based societies, legitimised the use of force. This is what is meant by the just war tradition. It is what enabled states to distinguish the role of soldiers as heroes and not criminals. So how do we interpret contemporary rules? After every great war, there are settlements that are supposed to prevent war from happening again. In the aftermath of World War II, the international use of force was prohibited in the United Nations Charter unless authorised by the United Nations Security Council. But an exception was made in Article 51, the right to self-defence. States could have recourse to the use of force ‘if an armed attack occurs until the Security Council has taken measures necessary to restore international peace and security.’ At the time, an armed attack was expected to be by a foreign state- an ‘old war’. The Bush Administration stretched the interpretation of self-defence in two ways. First, it argued that self-defence applies in the case of an attack by a non-state actor. On 7 October 2001, the US informed the United Nations Security Council that it was taking action against Afghanistan as a unilateral action of self-defence in response to the attacks of 9/11. Many of us argued that the attacks of 9/11 should have been treated as a ‘crime against humanity’ rather a foreign armed attack –thereby implying the use of policing and intelligence rather than war as a response. The intervention in Afghanistan also implied that the state of Afghanistan was viewed as collectively responsible for those attacks because it hosted Al Qaeda. What if Al Qaeda had been home-grown like in the case of the Oaklahoma bombings? This would have necessitated a different response. Secondly, there has been a stretching of the concept of ‘imminence to allow for what the Bush Administration has called preventive self-defence. It is generally agreed that a state can take action to prevent an imminent attack, which has been defined as ‘instant, overwhelming, and leaving no choice’ (Daniel Webster judgement in the ‘Caroline Affair’). However, the 2002 National Security Strategy argued that the combination of radicalism and technology had created a threat ‘so potentially catastrophic …it is too late when threats become (imminent) too late in that kind of war’. This was the argument used to justify the intervention in Iraq. There were also other aspects to this stretching of the notion of self-defence having to do with the concepts of necessity and proportionality. But here I want to discuss two ways in which we might resist this expansive interpretation. One is conservative; it would involve insisting that the self-defence exception only applies to an attack by a foreign state and that imminence must continue to be tightly defined. The other, which I favour, is to reinterpret the concept of self-defence in the light of ‘new wars’ and globalisation in a way that is almost the opposite of Bush. Everyone agrees on the right of individual self-defence. Hugo Grotius famously argued that killing is justified ‘if a man were attacked in the night in a secret place where no assistance can be procured’ (Grotius 2005 p.56). But if we treat the self-defence of a state not as the self-defence of an entity but as the collective scaling up of individual self-defence, this has far reaching implications for the rules governing the conduct of force. In the case of individual self-defence, the life of the defender has greater weight that the life of the attacker because of the culpability of the attacker. But how can it be right to kill soldiers and civilians who are not responsible for the attack simply because they are members of an enemy state? Surely in the case of such an attack, as in the case of individual self-defence, force might be used to protect those about to be attacked but not to counter-attack. Those responsible, where possible should be stopped and arrested rather than killed, unless this is the only possible course of action. In this sense the case for self-defence is hardly different from the case for humanitarian intervention where a third party can go to the defence of individuals who are being attacked or are about to be attacked imminently. In the case of humanitarian intervention, we are concerned with cases of genocide or massive violations of human rights. In other words, instead of treating terrorist attacks in the same way as an armed attack by a foreign state, we could do the opposite and treat an armed attack as a massive violation of human rights, as a humanitarian catastrophe. But this then has profound implications for how force is used. So this brings me to the second issue –the laws governing the conduct of force. President Bush also stretched the rules governing how force is used. In particular he argued that International Humanitarian Law (IHL) applied to traditional conflicts and therefore need to be revised in the light of the ‘new war paradigm’. On the one hand, he argued that the War on Terror was a war and that this therefore justifies the killing of terrorists. On the other hand, he argued that the terrorists did not count as lawful combatants and were therefore not to be afforded the Geneva protections. This argument justified the indefinite detention of suspects in Guantanamo Bay, extraordinary rendition, so-called enhanced interrogation techniques, and the establishment of military commissions to try suspects. All these phenomena are currently under challenge form human rights advocates. I share the view that there are problems applying IHL in the light of new wars for a whole variety of reasons: that new wars involve both state and non-state actors; that wars are not declared; or that it is difficult to make a clear distinction between civilians and combatants. IHL does make a distinction between international and non-international armed conflict. But there are problems in defining a non-international conflict. Is it internal in which case it does not apply to new wars since these are wars which blur the difference between internal and external? What is the threshold of violence that constitutes an armed conflict? At what point, for example, did violence in Libya and Syria move from protest to armed rebellion to civil war and even to international war? But my conclusion is the opposite of Bush. Either one can take the position put forward by Anthony Dworkin that the War on Terror is a non-international conflict. But in such a conflict, while the Geneva Conventions apply, human rights law and domestic law cannot be suspended. That means that the killing of terrorists is not permitted except under tightly defined circumstances, e.g. to stop an ongoing or imminent attack (Dworkin 2005). The other option is to argue that new wars or terrorist attacks do not count as non-international armed conflicts and that therefore other legal regimes that have much tighter rules about when killing is permitted apply – human rights law, international criminal law, or domestic law. As well as the rules governing the use and conduct of force, a third issue is the authority to use force. In all just war traditions, ‘right authority’ is a key element in the argument justifying the use of force. It was the shift from religious to secular authority that was so critical in the early modern period. The significance of the Peace of Westphalia was not so much the invention of sovereignty –that came earlier- it was the ‘dethroning’ as the Spanish jurist Vitoria put it, of religion, establishing a new secular basis for legitimacy. In the modern construction of sovereignty, only states had the right to use force. In the aftermath of World War II, the authority to use force passed to the United Nations Security Council. In principle this shift was as momentous as the shift from religious to national authority in the seventeenth century. For the Bush Administration, however, it can be argued, the War on Terror was a way of reclaiming state sovereignty. Many commentators refer to the theories of Carl Schmitt that sovereignty is the ‘monopoly to decide’ and override law. Bush invoked a ‘supreme emergency’ to justify such devices as torture or military commissions or targeted killings. There is, of course, a problem that, although, in principle, the authority to use force has passed to the Security Council, in practise, the Security Council lacks legitimacy because of its geopolitical composition and because it lacks accountability. So my argument would not be to bypass the Security Council. Rather there is a need to rethink its representativeness and accountability. So if we pull all these strands together what am I suggesting? I am arguing for international law that prohibits the use of force, as in domestic contexts, except in the very limited case of individual self-defence. The only argument for the international use of force is the scaling up of individual self-defence, e.g. genocide or massive violations of human rights. But in this case, the conduct of force is not the same as war-fighting. It is defensive, aimed at protection. Those responsible for the attacks are to be arrested where possible rather than killed. Any international use of force would take place under the authority of a reformed United Nations Security Council. Such an approach would require something like international emergency services rather like in a domestic context, we have police, fire fighters and emergency medical services. In case this sounds excessively utopian, it is worth noting that something along these lines has been developing in parallel with the War on Terror. All sorts of new techniques have been developed in wars in the Balkans and Africa –safe havens, humanitarian corridors, the establishment of courts to try war crimes. New types of security capabilities are being developed by the European Union and in the thinking about civilian protection in the United Nations. New commitments to humanitarian intervention or Responsibility to Protect have been adopted by the African Union. Many international missions, not all successful of course, have been taking place alongside the War on Terror and have involved a learning experience. We tend to focus on Iraq and Afghanistan because they are so visible but they may well turn out to be exceptions as a consequence of a more traditional war-fighting military intervention. 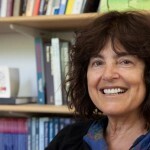 Mary Kaldor is Professor of Global Governance and Director of the Civil Society and Human Security Research Unit at the London School of Economics and author of New and Old Wars.